Availability: In Stock Size: 720 x 540 x 310 mm Shipping Weight: 51 kg Category: PowerDim. The 6U PowerDim is the smallest of the PowerDim range but is still packed with features. 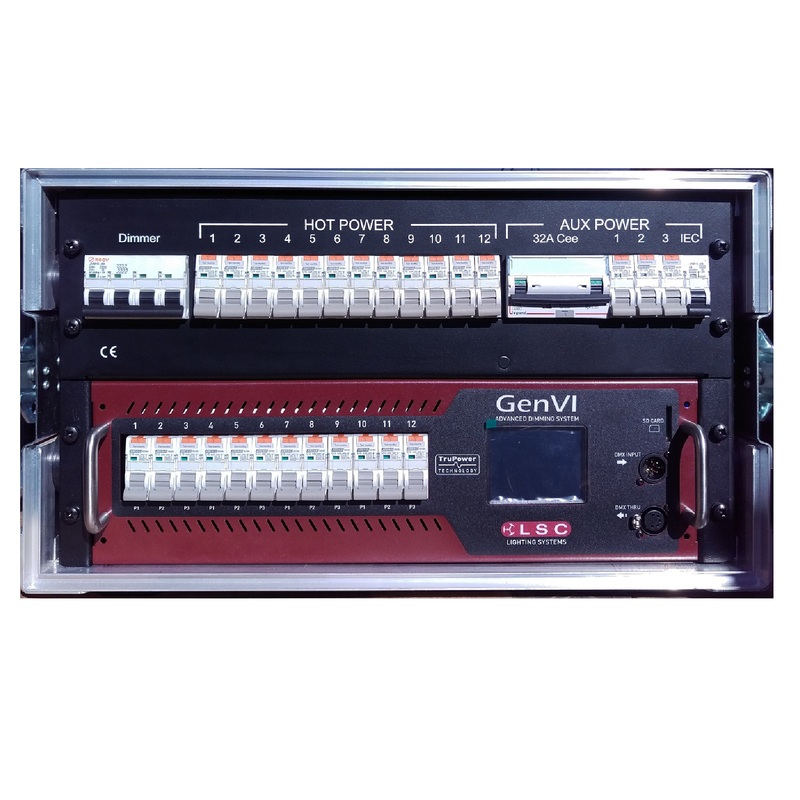 This 6U show-in-a-box is designed with the market leading LSC 12ch GenVI Dimmer Module which has each individual channel 30mA RCD protected (visit http://www.lsclighting.com/products/dimmers/genvi-dimmer for more details). 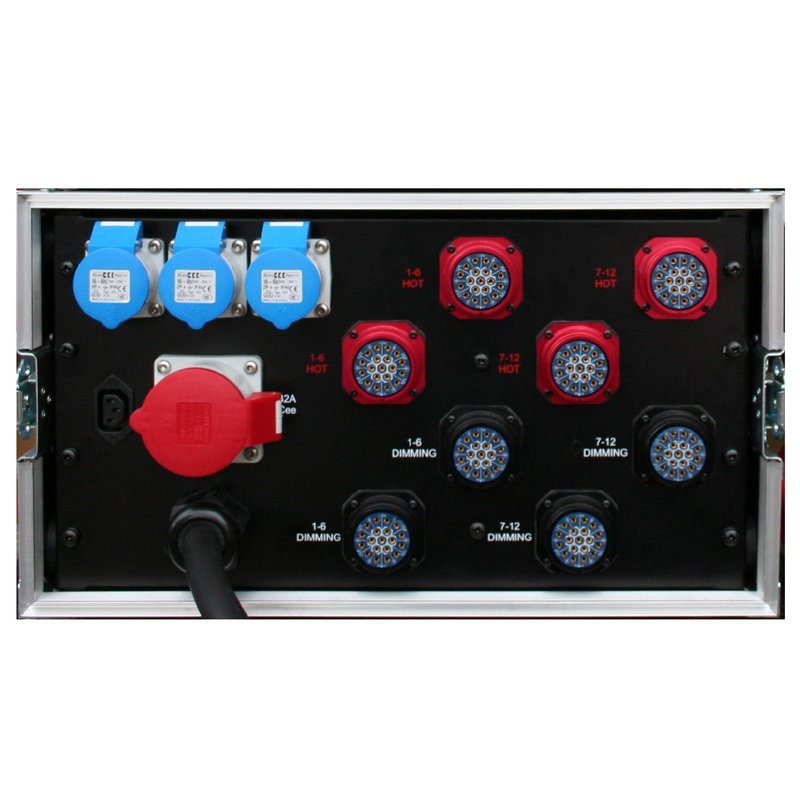 As well as 4 x Paired Socapex Outputs for the LSC GenVI Dimmer, the 6U PowerDim alsocomes with 4 x Paired Hot Power Socapex Outputs (anodised to a red finish to helpidentify the Hot Socapex) protected by 12 x 16A SP 30mA RCBOs. 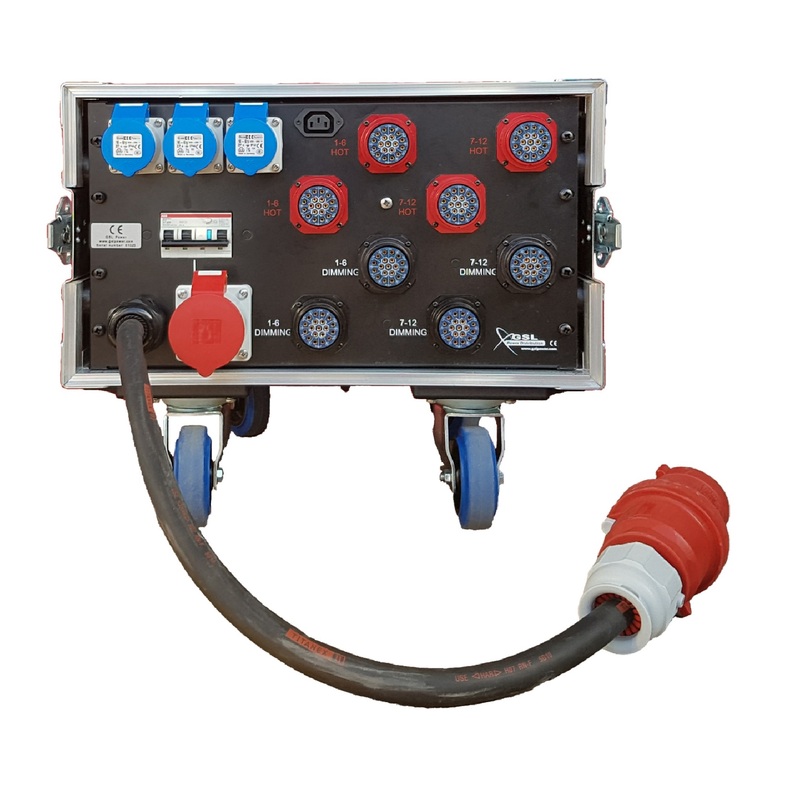 To complete the PowerDim with it’s individual 30mA protection, there are also 3 x 16A 1ph Outputs and 1 x 32A 3ph Output on the rear protected by 3 x 16A SP 30mA RCBOs and 1 x 32A4P 30mA RCBO. 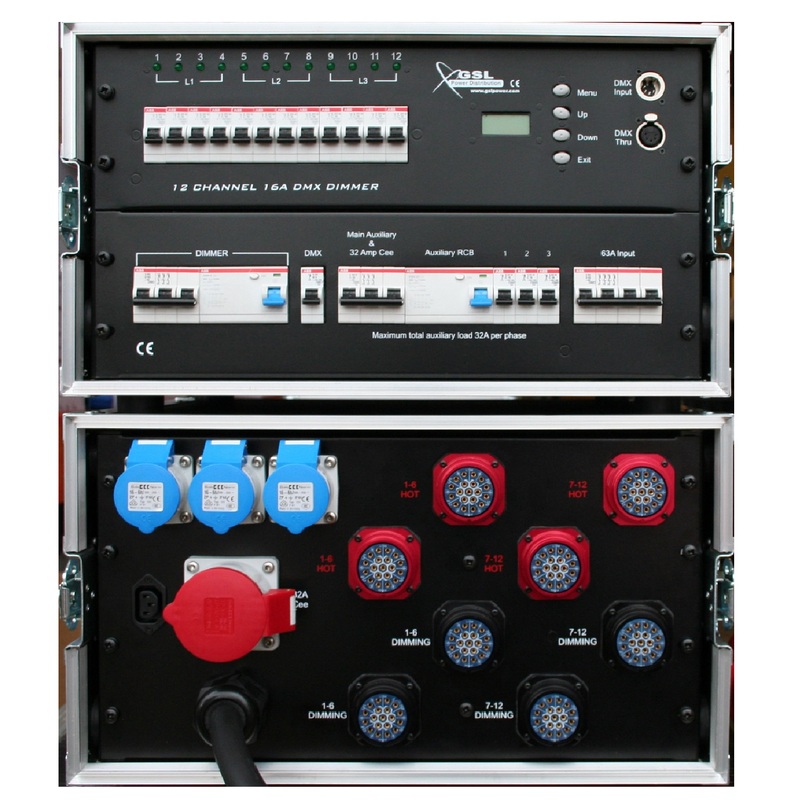 Finally there is an IEC Output protected by a 6A SP MCB for any accessories (such as the GSL 1U 8Way Buffer Box) that may be required. 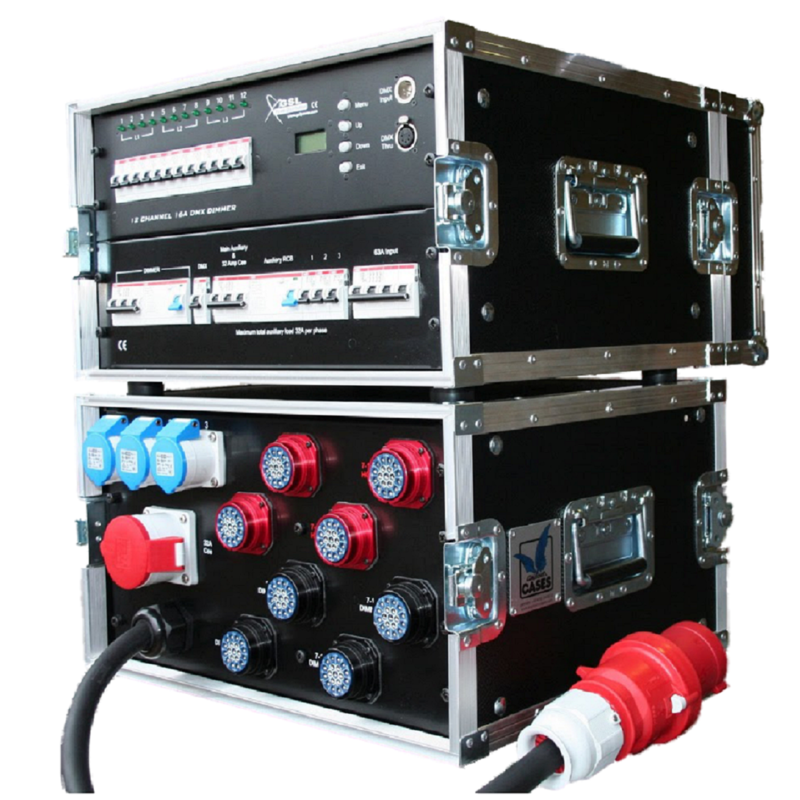 The 6U PowerDim comes with a 63Amp 3ph Plug on a 1m trailing lead, and is built into a quality 6U Flightcase with skids on the bottom. The metalwork is powder coated black, stoved to a matt finish and fully screen printed. At an affordable price, with full individual 30mA Earth Leakage Protection, and a market leading dimmer module, the 6U PowerDim is a product that will appeal to large companies, small companies and individuals alike.